v1.0.2 - "Mail time! Mail time!" 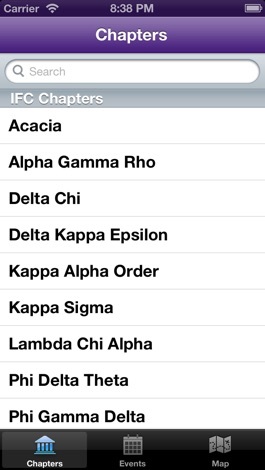 - Sending emails to presidents and recruitment chairs no longer exits the app. This way you don't need to be reminded of all the email in your inbox that you haven't taken care of. - Fixed a bug that caused events before noon to be listed twelve hours later. I promise this was not a subtle hint that all events should start after noon. Promise. 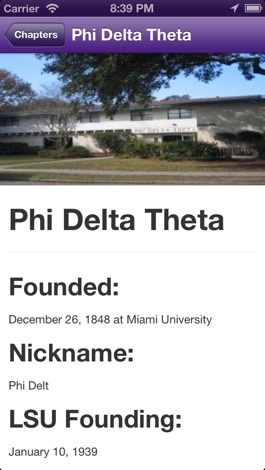 - Tau Kappa Epsilon had *two* houses. We couldn't have that now, could we? - Fixed a bug that spoiled an upcoming surprise. 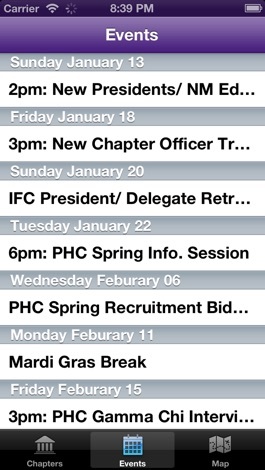 The LSU Greek life app is your most effective way to access anything you would need to know LSU Greek life. 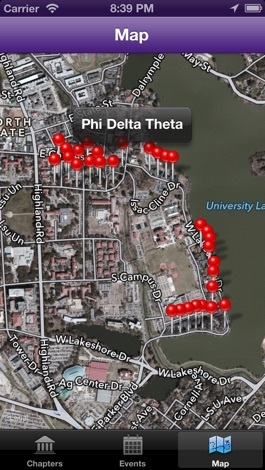 It is free and simple to use, allowing you to always be connected to the Greek community. Use LSU Greek life app to enhance your Greek career and experience at LSU by finding all the Greek life benefits and updates you would in one place on this app. Fixture Maker, when you play sport games with your friends, you can arrange league by this application. For any further development please live a comment. Vacation Style House Plans is a great collection with beautiful photos and with detailed instructions. Main features: - Photos and instructions - Bookmarks - Quiz game to test your knowledge - Share and save to photo library - Offline availability Check out some screenshots.